The " Social Media" block creates links to your social networks. Open the page to which you wish to add the "Social Media" block. Click "Add content" and select "Social Media". 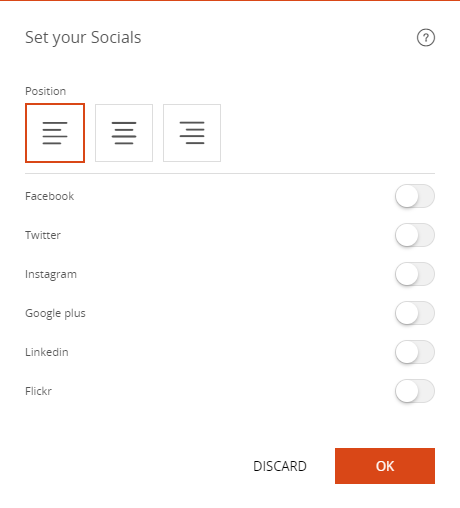 Click on the "Social Media"
The symbol for the selected social network is displayed on the page. At the click, the user is redirected to the entered URL.